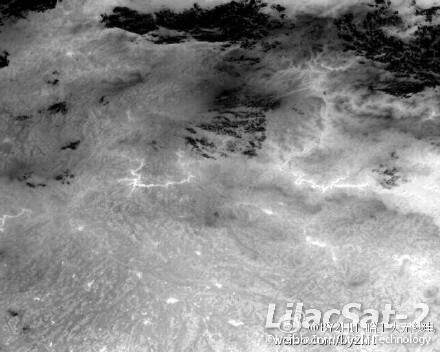 LilacSat-2 (CAS-3H) was launched along with eight other XW-2/CAS-3 amateur radio satellites on Saturday, September 19, 2015 at 23:01:14 UT on Beijing’s new Chang Zheng 6 (CZ-6) rocket from the Taiyuan Satellite Launch Center. 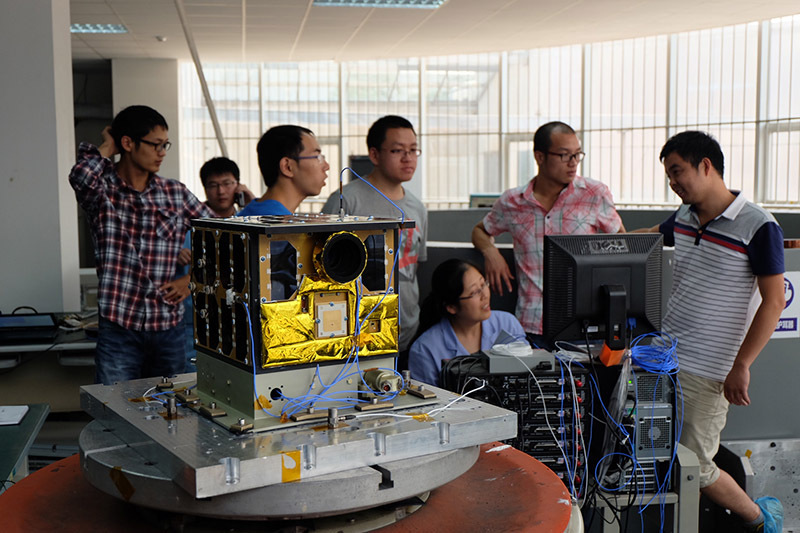 The satellite, built by students at the Harbin Institute of Technology, has the call sign BJ1SI and carries an APRS digipeater and a 144/437 MHz FM voice transponder which can transmit telemetry data at the same time as voice by using sub-audible tones. Note: The FM transponder and APRS downlink is 437.200 MHz not that given in the XW-2/CAS-3 Frequency Chart. 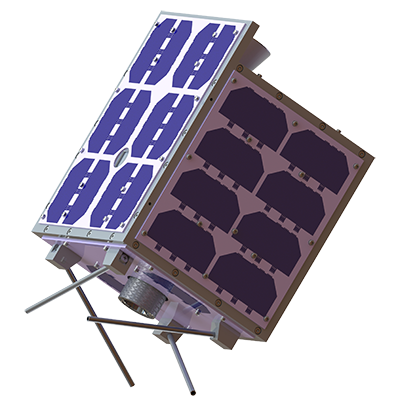 There is also a telemetry downlink on 437.225 MHz. 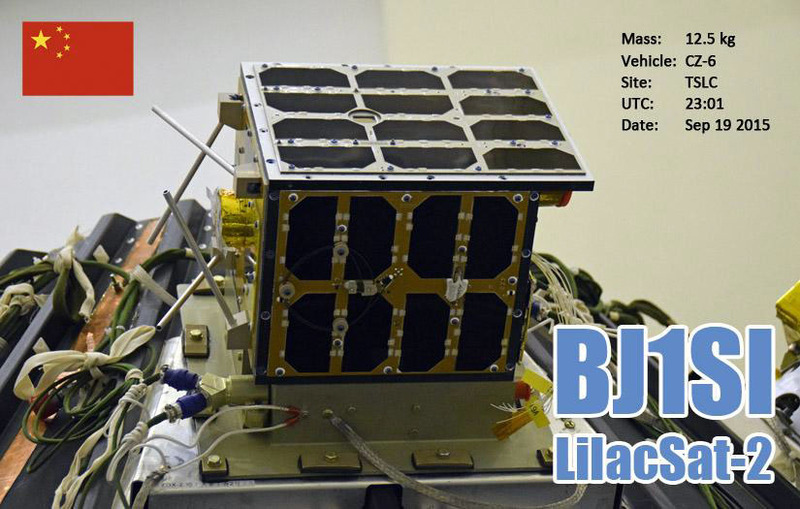 Further information is given on the LilacSat-2 website Radio Info page. Remember the Doppler shift on the downlink during a pass will be about +/- 10 kHz. If your radio has selectable FM filters use the wider filter designed for 5 kHz deviation FM, sometimes referred to as a 25 kHz channel spacing filter. 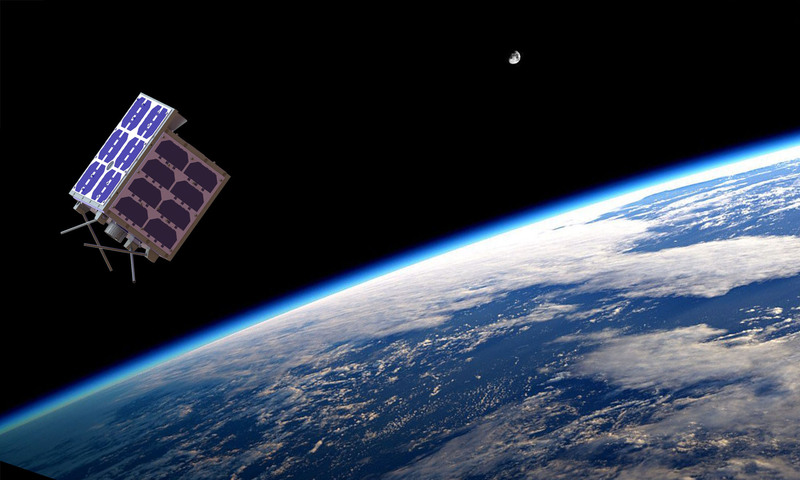 During the first 16 hours in orbit, we have received nearly 1000 packets of LilacSat-2 from Harbin (BY2HIT), Shihezi (B0/BY2HIT), Nanjing (BI4ST), Xian (Northwestern Polytechnical University) and Singapore (9V1SV). Many thank to all! Now we have a Linux LiveCD for telemetry decoding released. 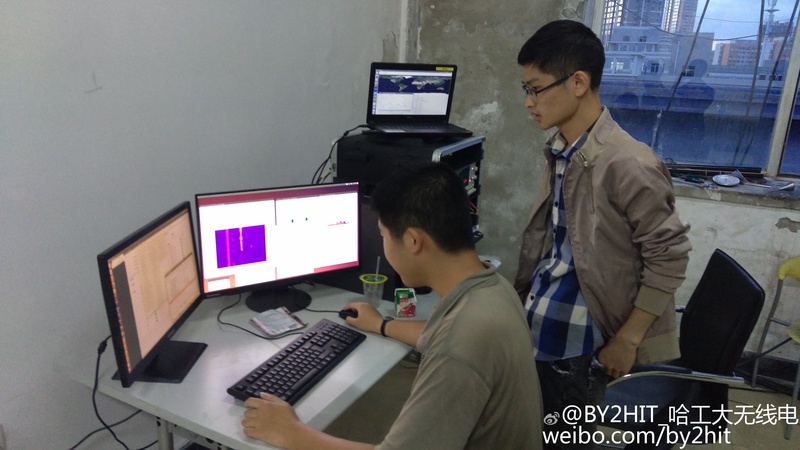 We have support for FCDPP, USRP and RTL-SDR. Not hard to edit the GRC flowcharts to support other devices. It can be burned into a USB stick to boot a computer directly, run from a virtual machine or installed into a hard disk. The User manual is also included.